Save thousands! New, 2007 model powered by a factory fitted 5.7L (300hp) Mercruiser with Bravo 2 drive, complete as per manufacturer's specifications plus virtually every factory fitted option available (inquire for details). Prepped and ready for shipment. 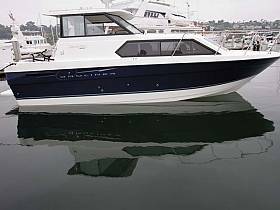 The price is subject to currency and ocean freight stability and is all inclusive except VAT. Many other new, old inventory Bayliners, Maxums, Trophies and Meridians are available also. 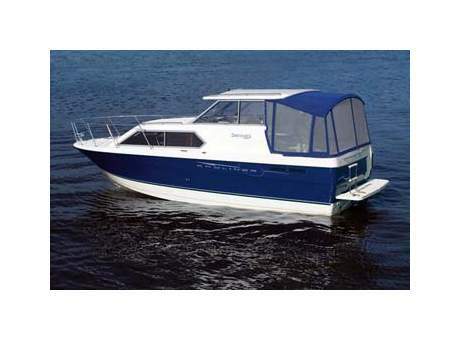 All GENUINE inquiry is welcome via our web site's inquiry form (www.boatsdirect.co.nz). Please note that - GENUINE inquiry.